You might remember the Emperor Penguin from Happy feet, yet this species is one of the hardest to spot on the Antarctic mainland. At 1.1m tall, the Emperor Penguin towers above any other living penguin on earth. It is mainly found in the East Antarctic region and breeds in the winter months. In fact, the Emperor penguin is not like any other penguin species at all! The male is responsible for incubating the egg for two months and is even capable of feeding the chick if the female does not return in time. 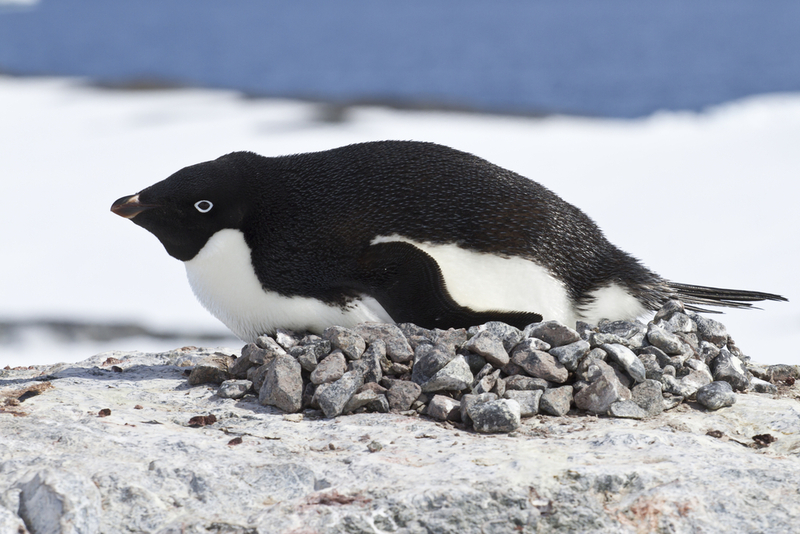 The Adelie Penguin is no doubt the most well known of all Antarctic Penguins. It is also a stereotypical looking penguin, having a tuxedo shirt front and a white ring around it’s eyes. Its beak is reddish with a with a black tip. They are found on the Antarctic continent peninsula and surrounding islands. They breed during the warmer Antarctic months which is from October to February. They primarily eat fish and krill. 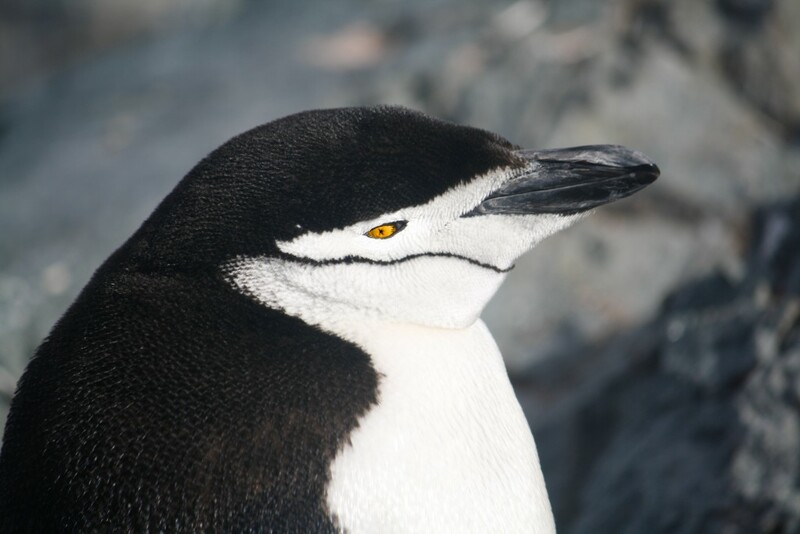 Chinstrap penguins are one of the most distinguishable of all penguins. Like the name suggests, they have thin black line running across their cheeks making them look like chin-straps. They are medium-size in build and usually breed on hillside slopes. Gentoo penguins have a distinctive white patch around and behind the eye that joins the crown. 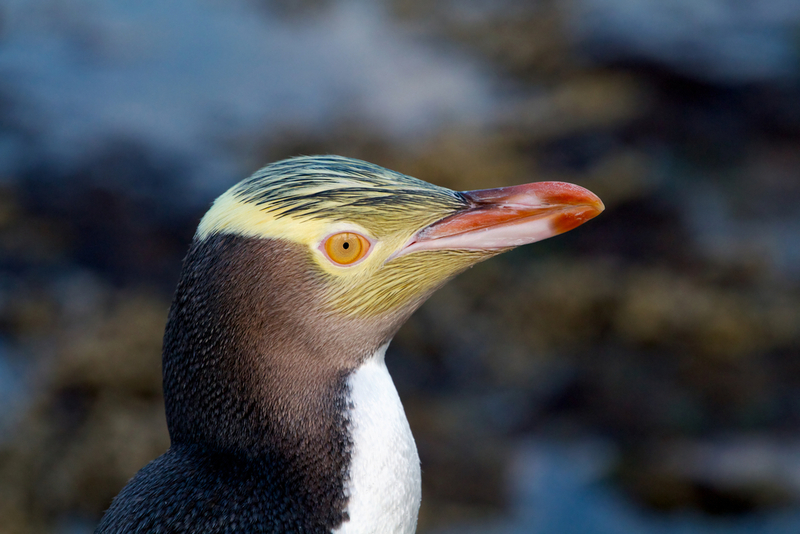 They are mainly found on the sub-Antarctic islands and can be found around their breeding colonies all year round. 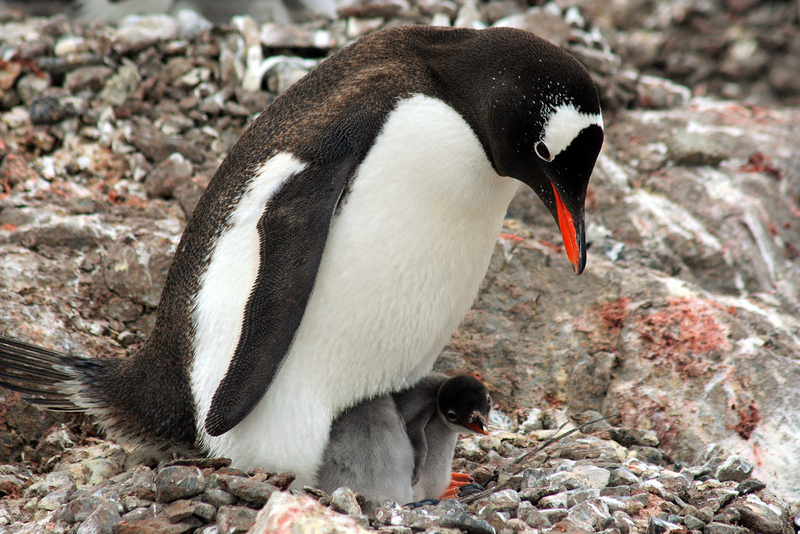 The Gentoo penguin makes as many as 450 dives per day when foraging for krill, their main diet. 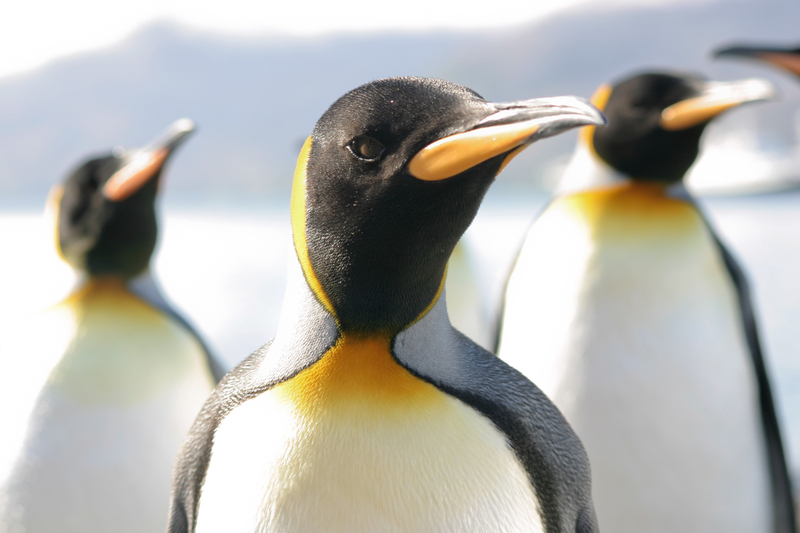 Similar in appearance to Emperor penguins, King penguins are much smaller in size and are 95cm tall. They have one of the longest breeding cycles, it takes about 14-16 months for a single chick to hatch. King Penguins don’t make nests, instead they lay only one egg at a time and carry it around on their feet covered with a flap of abdominal skin called the brood patch. They are found only on the sub-Antarctic islands, the Falkland and South Georgia islands being the most densely populated. 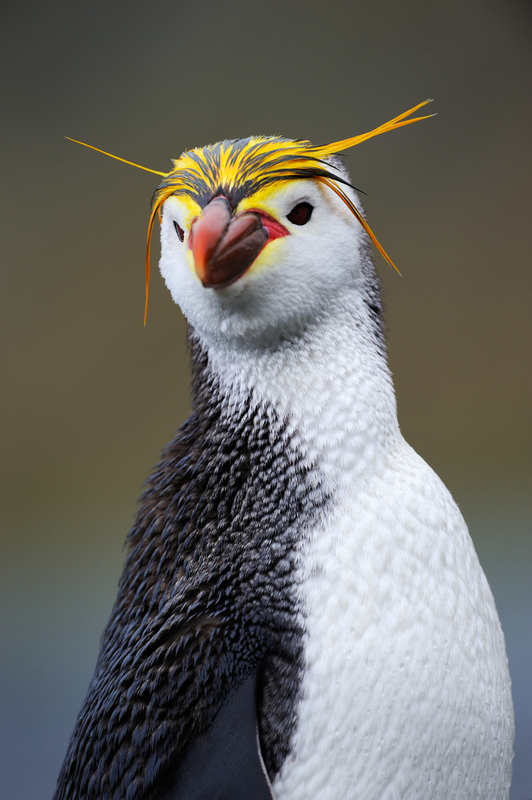 Macaroni penguins are one of the most abundant species in terms of numbers. They have distinct orange feather plumes on their head and a thick red bill. In fact, these orange feathers reminded early explorers of trendy hats worn by 18th century men called ‘macaronis‘. They can be found on the sub-Antarctic islands, the Antarctic Peninsula and even as far north as Chile. Their diet mainly consists of a variety of crustaceans, mainly krill, as well as small fish. 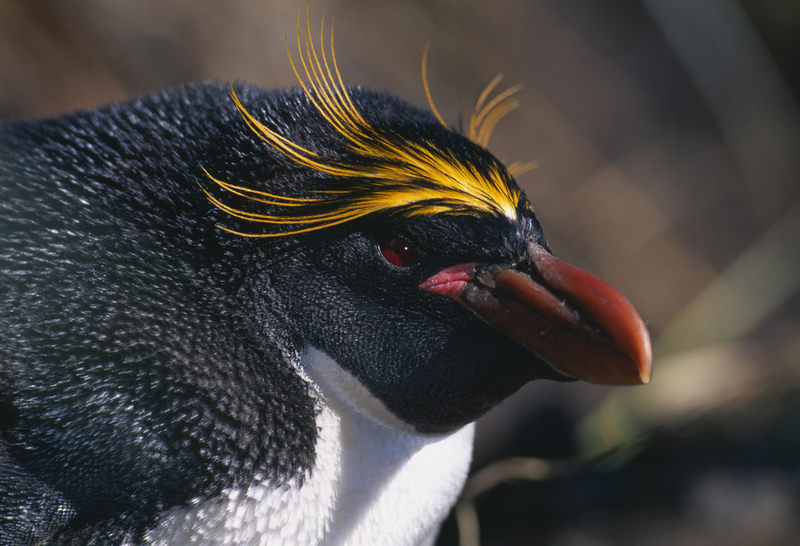 Similar to Macaroni penguins, rockhopper penguins have feather plumes on their heads. Instead of orange they have distinct yellow and black feathers shaped in a crest. Their eyes are blood red and are considerably shorter than other penguin species. 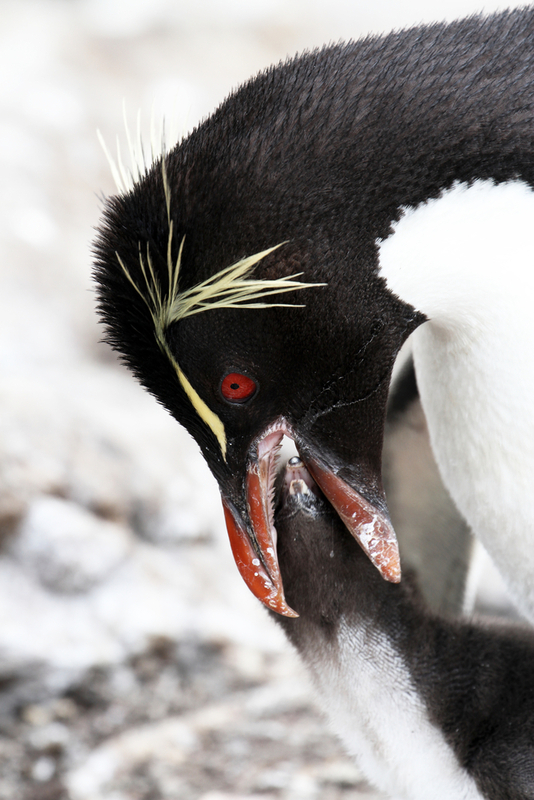 At 50cm tall, rockhopper penguins are among the world’s smallest penguins. 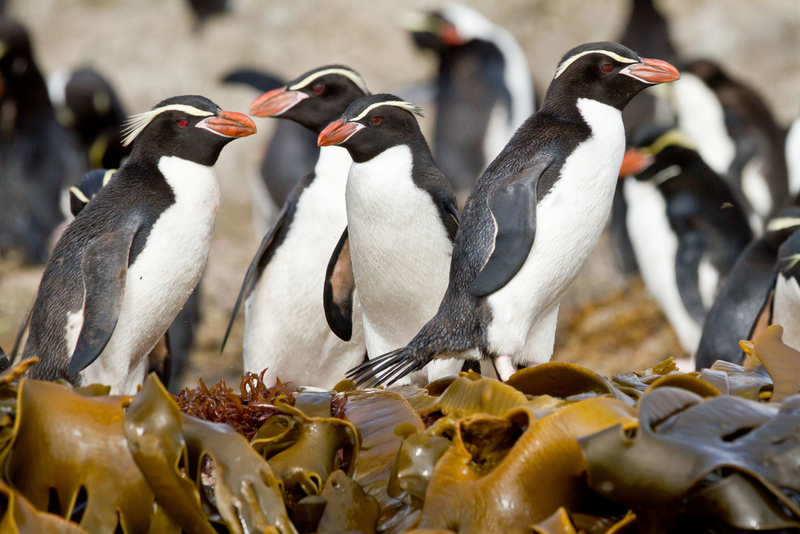 They are found on the sub-Antarctic islands and have two sub species. Interestingly, Rockhopper penguins often burst from the water near shore and land on rocks with a belly flop. Fairy penguins are the smallest of all penguin species, with a height of only 33cm. 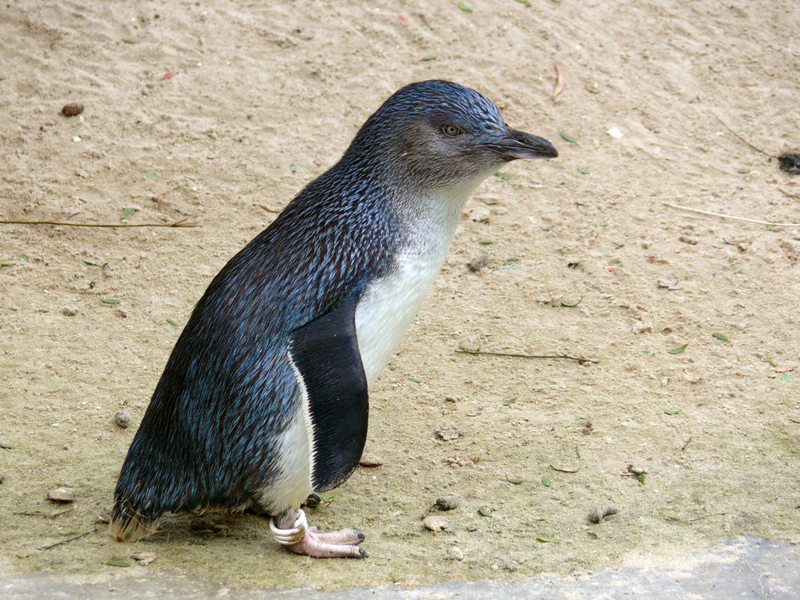 They are also known as little blue penguins, for their blue colour that appears on their head and down their backside. Majority of Fairy penguins are found in Australia but can also be found in New Zealand and Chile. In contrast to other penguin species, fairy penguins are nocturnal. Snare’s Island is located 200km south of New Zealand and are the most restricted in space, with a breeding ground of just 300 ha. They have yellow feather plumes that are much flatter and reach farther up the bill. Their bill is also conical in build. Unlike most penguins who’s habitats are covered in icy conditions, the Snare’s Island penguin breeds under the canopy of Olearia forests, as well as on coastal rock. Like the name suggests, these penguins are yellow-eyed and also have distinctive yellow eye-stripes that join on the back of the head. They are mostly found in New Zealand on the South Island but can also be found in neighbouring southern islands including the Campbell Islands. Breeding takes place from September to February and they have a very long chick-rearing period of 100 days. To learn more about the geographical distribution of penguins, check out this interactive map.